Home » Acacia Table Rounded Freeform 32" x 60"
Acacia Table Rounded Freeform 32" x 60"
The graceful curves of this freeform solid Acacia table will add interest and warmth to you dining room or kitchen. The graceful curves of this freeform solid Acacia table will add interest and warmth to you dining room or kitchen. Each table is unique, carefully crafted to reflect the natural curves of the Acacia tree, which was discarded as orchard salvage. 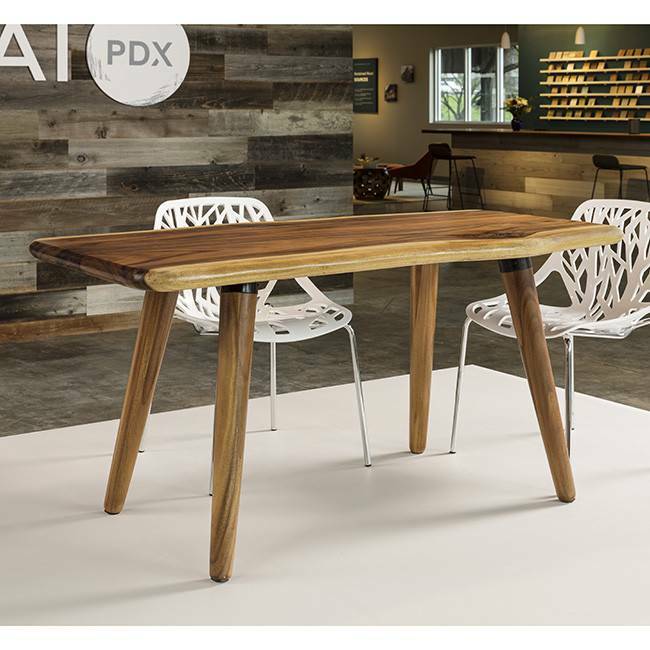 The sturdy legs and compact size give this table versatility to serve a variety of purposes. Pairs with the Freeform Acacia Bench! The table is 58 inches long, around 29 inches across and 30 inches tall. Curves and natural wood features abound, unique to each table. 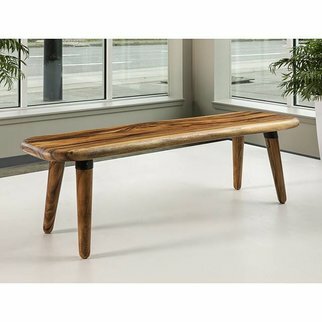 Acacia Rounded Freeform Bench 16"-18" x 60"